The people behind ILAL BARAKAH HAJ LTD are dedicated to serving the Pilgrims whether we are called upon for advise or tailoring packaged tours for Umrah or Haj. 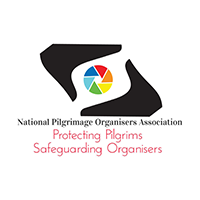 Our long established service to the pilgrims has given us experience and insight into the basic concepts of the whole process. We receive more calls from established or aspiring agents for advise. We lend our experience to such calls and almost every year help obtain hotel accommodation for other tour agents in UK. We do not rely on advertising our service on the national media such as television or newspapers as a majority of our clients come to us through personal recommendations. We are based in Redbridge, Ilford and work closely with Sada e Madina. We hold ATOL license and are registered with Companies House.